Home » News of the Mumonkan club » An Aikido seminar under the guidance of shihan Mr. Makoto Ito. 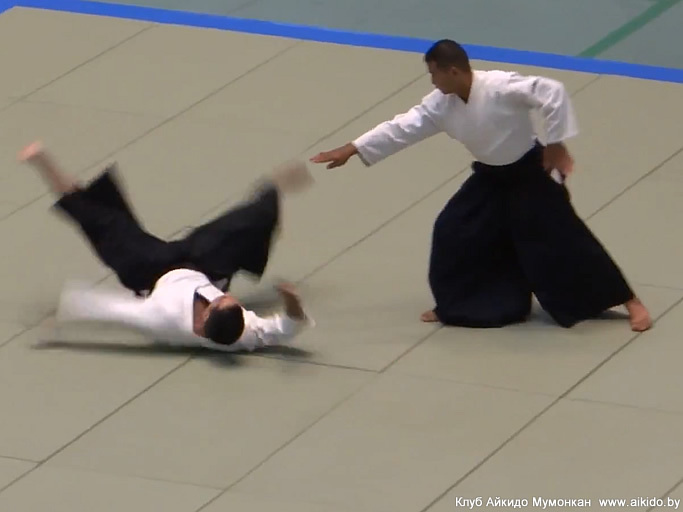 Belarusian Aikido Federation announces that the annual international training certification Aikido seminar under the guidance Mr. Makoto Ito (6 Dan Aikido), shidoin of the World Centre of Aikido Aikikai Hombu Dojo, will be held from 3 to 6 April, 2014 in Maladzečna and Minsk. The Aikido seminar program and schedule (attention, changes in the schedule are possible). Dojo 1: Sports school #1 (fighting gymhall), 21 J. Jasinskaha str., Maladzečna. Dojo 2: BSUIR Sports Complex (fighting gymhall), 4A P. Broǔki str., Minsk. For further information on the conditions of participation in the seminar and accommodation you can refer to Executive Secretary of Belarusian Aikido Federation Olga Mostovnikova by phones (+375-29) 676-5373, (+375-29) 857-0110. A training certification Aikido seminar by Mr. Makoto Ito in Minsk, April 2013.